There are three types of page templates used in Noemi: Default (No Sidebar), Left Sidebar and Right Sidebar. 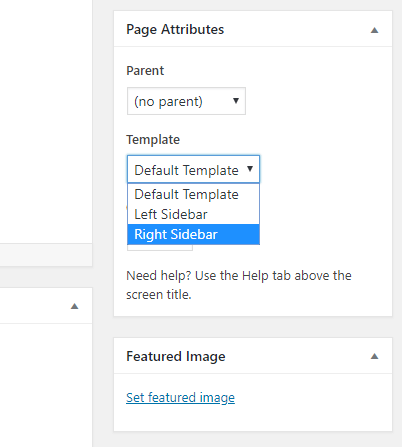 You can change template from “page attributes” section. 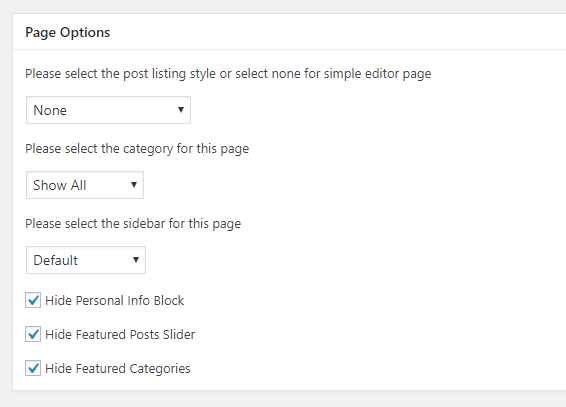 Once You choose the layout template for the page, you can use “Page Options” to configure your page.